As Tesla’s solar business slows, it looks to Home Depot and Lowe’s for growth. 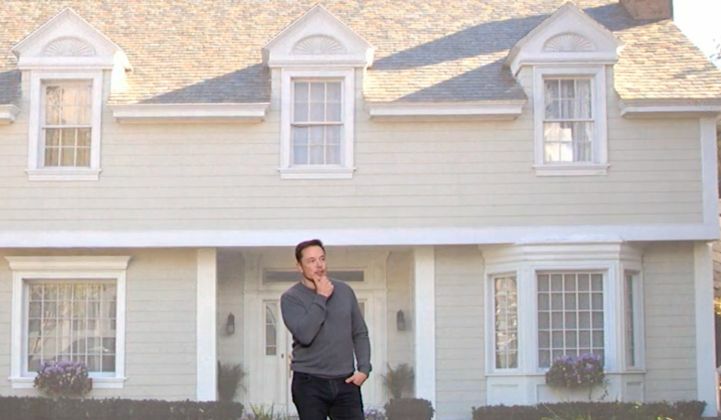 Tesla may soon sell solar roofs at Home Depot and Lowe's. As Tesla continues the process of eradicating the SolarCity brand, it is now doubling down on a sales tactic once used by the solar company it acquired. Tesla is now building kiosks in Home Depot stores that show off its solar panels and Powerwall home batteries, Bloomberg News reported. According to the report, Lowe’s is in discussions with Tesla about similar solar and battery demo zones. The big-box retailers could eventually sell Tesla’s Solar Roof products when they become more widely available. To Tesla watchers, the move is curious, though familiar. SolarCity had a similar relationship with Home Depot for several years. While SolarCity’s early years focused on growth at all costs (in lieu of profits), Tesla is running the solar division more conservatively. Tesla is aggressively looking to slash its customer-acquisition costs for solar. It stopped selling solar systems door-to-door, cut its advertising spending, and started focusing on selling through Tesla-owned stores. But GTM Research Solar Analyst Allison Mond said that customer-acquisition costs in retail locations tend to be high, potentially higher even than those associated with selling solar door-to-door, which can be anywhere between $2,000 and $5,000 per customer, according to Mond. 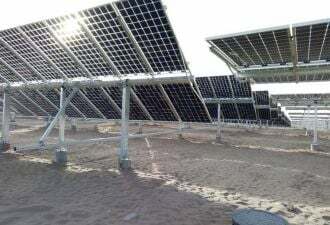 However, selling solar through channel partners (such as a Home Depot) could cost between $2,500 and $7,000, she said. “It’s hard for me to believe that it’s not going to be expensive for them,” said Mond. Retail channel costs tend to be high for a variety of reasons. First, retailers can charge high prices for the space or per customer acquired. Second, the kiosks are often staffed by company sales personnel seeking to educate shoppers (a task the staffers need to be paid for). Lastly, potential customers can be difficult to convince when they’re busy shopping, and the sales closure rates are low. Tesla no longer breaks out many of the financial details of its solar business like SolarCity did before the acquisition, so it’s hard to determine how much Tesla is planning to spend on its big-box retailer play. It’s possible that Tesla’s cachet helped it secure a lower-cost deal with the brick-and-mortar stores compared to the standard deal. But Tesla clearly is looking for some kind of edge to help its solar division. Tesla just started producing its own Solar Roof tiles. Its partner, Panasonic, has been producing solar cells in Gigafactory 2 since last summer. Tesla CTO JB Straubel has said the company wants to make 2 gigawatts per year of solar panel capacity. Tesla and Panasonic have also found themselves in an interesting, and possibly advantageous, position following the recent introduction of the new tariffs on solar imports. Gigafactory 2 is one of a few places where U.S. domestic solar cell manufacturing is actually occurring right now. The last year has been difficult for Tesla’s solar arm. It is no longer the top third-party-ownership financing provider in the residential solar market. Competitor Sunrun can now boast about holding that title. Growth has slowed so much that it caused a slide in residential solar sales in the U.S., according to GTM Research. Tesla previously forecasted that its solar arm would return to growth mode in the fourth quarter of 2017, as compared to the third quarter of 2017. The company is hosting an earnings call on Wednesday. Big-box retailers could be a way to kick-start growth. Bloomberg reported that the Home Depot kiosks will feature Tesla’s solar and Powerwall products on large 12-foot by 7-foot displays and provide visual demos of how the products work. Tesla employees will sell the gear, enabling the company to own the sales process and educate consumers about energy products that aren’t yet mainstream. Tesla is considered a leader in high-tech innovation and marketing. But now it's turning to old-school brick-and-mortar businesses to help its wavering solar business.